give you an unique atmosphere. Everything you need to get your dream bathroom come truth. 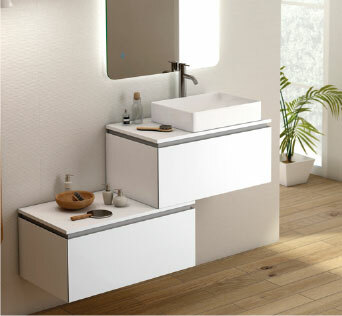 Discover our designs in bathroom furniture. 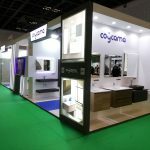 In Coycama we have been manufacturing Style and functionality in bathroom furniture for almost 40 years. We develop our product with the latest technology taking care of every detail, Reaching warmth taht make a house your home. Our commitment with quality and design has lead as to continuous growth. We export all over the world to more than 40 countries. Let yourself carried away by one of our proposals. 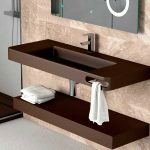 Your bathroom can also be like this. Sigma is an elegant, versatile and minimalist piece of furniture. Its metal structure and handle make this furniture the ideal protagonist to create a modern and personal atmosphere. The versatility of Sigma allows you to create an atmosphere without limits. 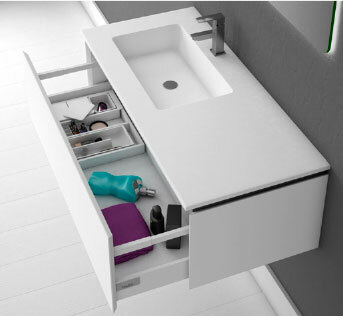 In small spaces and in large environments you can get the Sigma combination that best suits your style. Do you want something different? 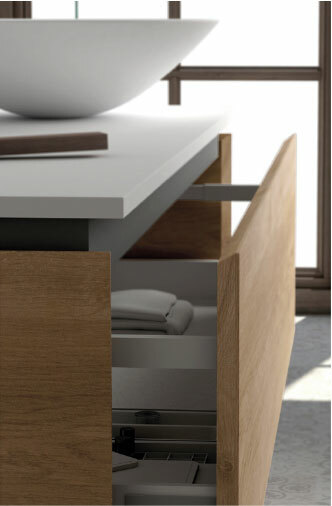 It stands out with this singular design of 3 drawers in different dimensions and a top-of-the-range countertop. 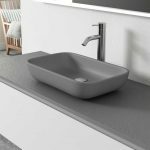 You’ve never seen such a countertop before. We have created ourselves so you can enjoy an element as exclusive as functional. Download our catalog and explore each option in detail.